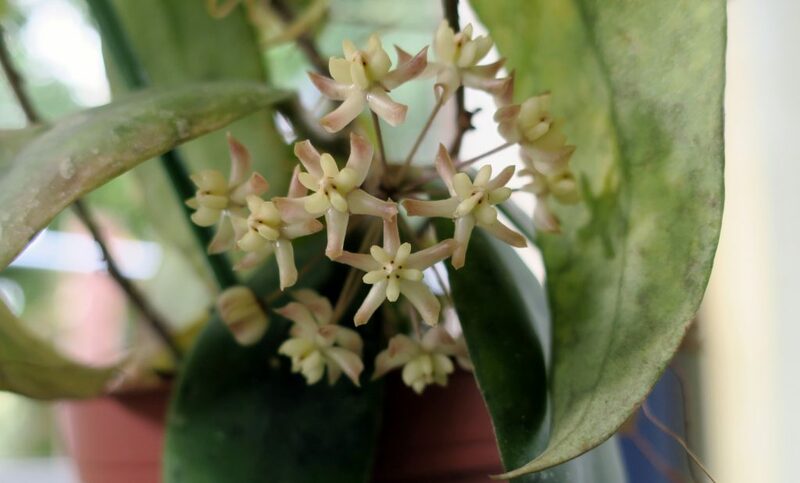 The first time Hoya padangensis flowered for me I think I had four flowers; then we moved up to six, then ten, and finally this week fourteen. I have to say that while the flowers are spectacular, the plant is not much to look at and very difficult to grow. This entry was posted in Hoyas on August 15, 2016 by Doug.